Where The Eagle Walks is a small business owned and operated for the past 27 years by Joe Williams, Jr. Mr Williams is a Tlingit Indian, born and raised in Saxman. He lived in Anchorage for 18 years, where he pursued his higher education, met and married his wife of 44 years, Suzi, and began his family. He and Suzi have 6 children and 7 grandchildren. Mr. Williams is the former Ketchikan Gateway Borough Mayor, the former City of Saxman Mayor and the former Tribal President for the Village of Saxman. 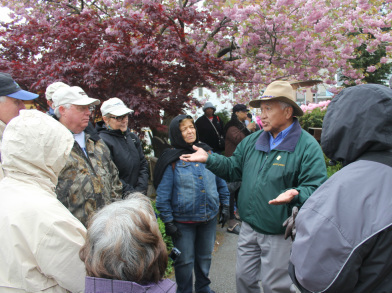 Where the Eagle Walks offers walking tours and Tlingit cultural presentations along with specialized personal and group tours.